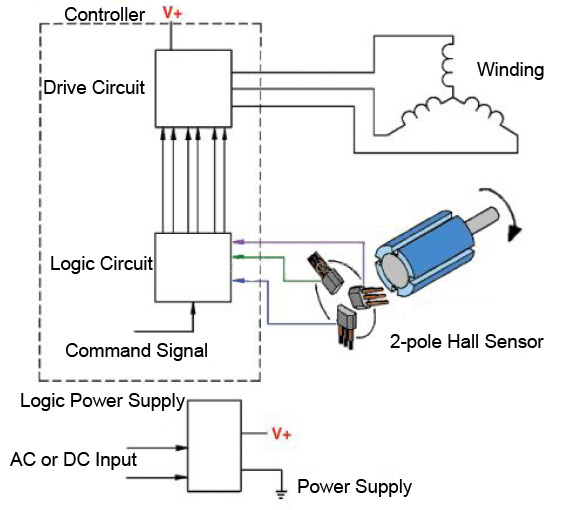 Home » BLDC Motor FAQ » How Hall Sensor Works in Brushless DC Motor? The work principle of the BLDC motor is similar to that of the brushed DC motor. The brushed DC motor adopts the electric brush and the commutator to realize commutation of the current in the winding. 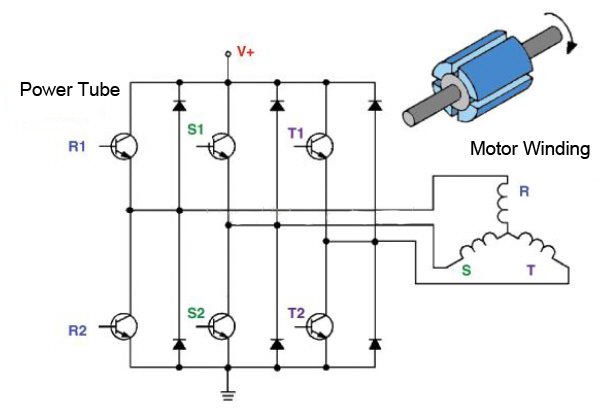 On the contrary, the BLDC motor realizes commutation of the winding current in the electronic way. The rotating permanent magnet, when rotating by the double-magnetic-pole digital Hall sensor, will cause changes to the double-pole digital Hall sensor's state. As shown in Fig. 1, the two south poles of the eight-pole magnet BLDC motor are apart from each other by 90°, while the Hall sensors are apart from each other by 120°. At the moment, the electric phase angle between Hall sensors is 30° apart. When the south pole approaches, the double-pole digital Hall sensor changes its working state. 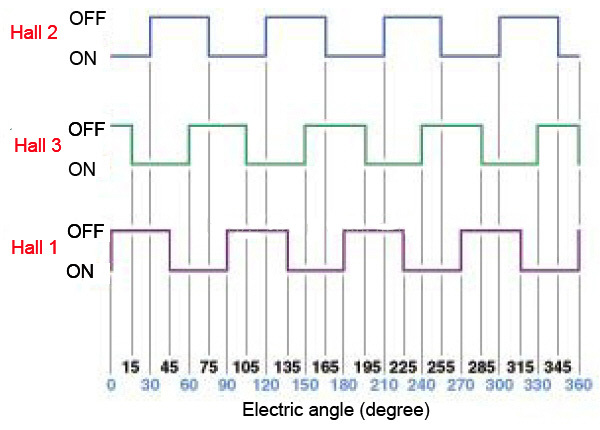 When the first digital Hall sensor swifts to the working status at the 0° electric angle, the second digital Hall sensor works at the electric angle of 30°. The third digital Hall sensor works at the electrolysis angle of 60°. When the north pole passes by the double-pole digital Hall sensor, the digital Hall sensor will swifts to the release state, every north pole of the rotating eight-pole magnet is apart from the adjacent south pole by 45°. Therefore, when the digital Hall sensor will change from the working state to the release state when the magnet rotates by 45°. Fig. 2 shows the output level state under the control of the digital Hall sensor in 3-phase BLDC motor. The output of the above three double-pole digital Hall sensor is adopted as the coder of the rotor position. The magnet position and pole information can be sent to the logic circuit as the information to disconnect the H-shaped bridge power tube. Fig. 3 shows the typical driving circuit of the three-phase BLDC motor. In Fig. 3, R1, S1, T1 can be driven by the above signal, when R2, S2 and T2 are driven after phase shift of the above signals. Hence, according to the position of the rotating magnet, every pair of power tubes will correspondingly connect or judge to provide the current for the electric motor's winding in the right sequence and at the right time.